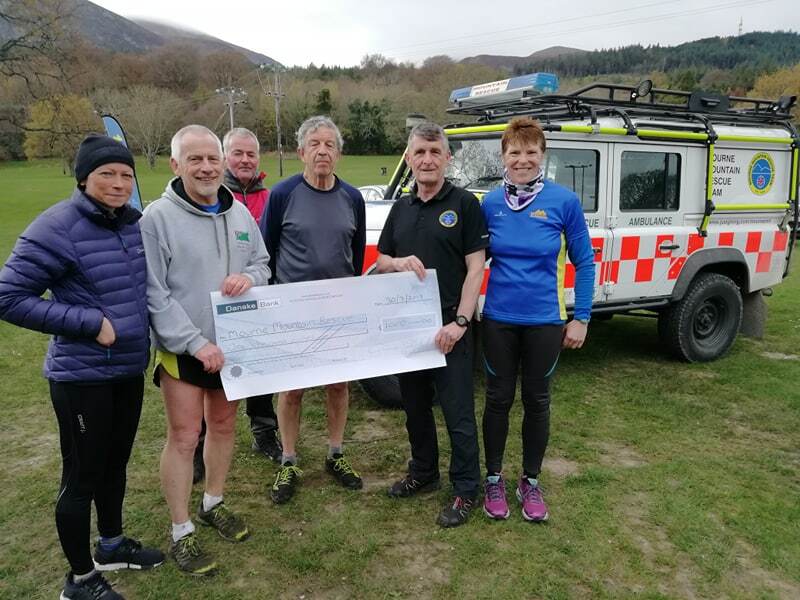 Northern Ireland Mountain Runners hosted trail race raised a much needed £1000 for Mourne Mountain Rescue Team. It was great to handover the cheque which MMR team will have no problem putting to use saving lives across the Mourne Mountains. The Mourne Mountain Rescue team are aimed at raising enough money to replace their ageing Land Rovers. Every penny counts so click this link and donate what you can – https://www.justgiving.com/fundraising/newlandrover because you never know when you might need them.